Went into town and bought an enlarger plus accessories. 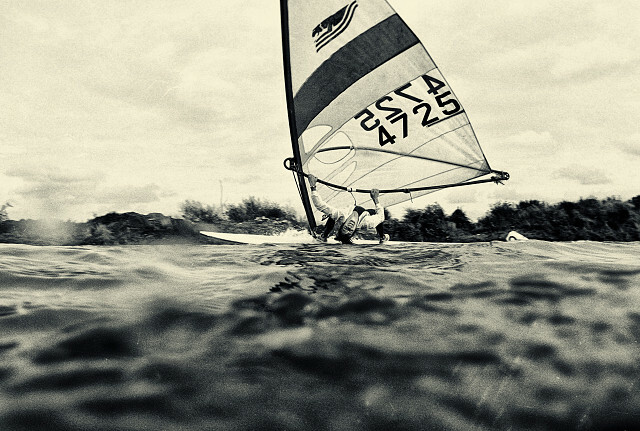 Went windsurfing in afternoon with Paul. I took some shots of him using marine housing. Dev and printed them in evening.